In a first, the Union Public Service Commission (UPSC) has decided to share online scores of candidates taking competitive exams. This is part of the government's proposal to boost hiring by the private sector. The publicly available scores will act as a useful database to other employers to enable them to identify good, employable candidates, UPSC has said. The Commission has decided to disclose information like marks obtained and educational qualifications of candidates who appeared in the final stage of examination (interview) but were "not recommended , it said. These details will be linked to the Integrated Information System for Public Recruitment Agencies -- a dedicated website being developed by the National Informatics Centre (NIC). UPSC will be making a provision in the application form so candidates can either opt in or out of the disclosure scheme. "Necessary instructions to the candidates about the disclosure scheme will be provided in the Commission's notice of all the examinations covered by this scheme," it said. Candidates taking tests for recruitment to the armed forces and those applying for limited departmental competitive examinations and the Central Industrial Security Force will not be covered under the disclosure scheme. The central government had last year approved a Niti Ayog proposal to make scores and ranking of candidates in recruitment examinations available through a portal for increasing access of the unemployed to job opportunities. The move had come after Prime Minister Narendra Modi had said in March last year said that scores of candidates taking competitive examinations will be shared with prospective employers to help them choose quality talent. "The government and public sector undertakings conduct a number of recruitment examinations. So far, the scores in these examinations have been retained by the government. "Hereafter, we will make available the results and the candidate information openly to all employers, wherever consent is given by the candidate. This will create a positive externality," Modi had said. 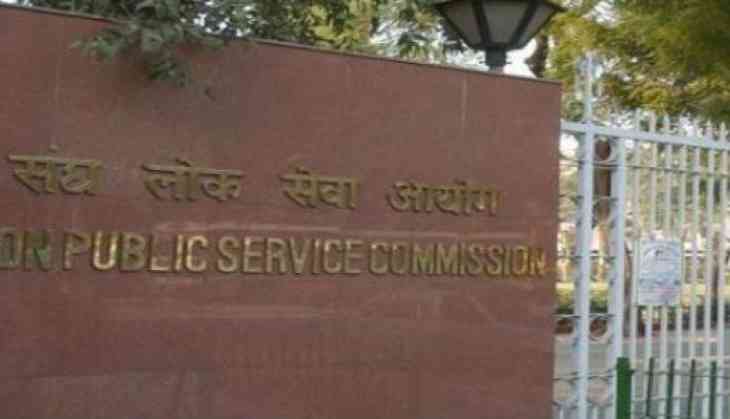 UPSC selects officers for the Indian Administrative Service (IAS), the Indian Foreign Service (IFS) and the Indian Police Service (IPS) among others. Another recruitment agency-- Staff Selection Commission (SSC) -- conducts examinations to select candidates for various government departments. Results of government entrance examinations for engineering and medical colleges are already being used by private colleges for admissions. As per the NIC proposal, each recruiting agency will develop its own web page. Details like name, date of birth, category (whether SC, ST or physically handicapped) educational qualifications, total marks obtained in the written examination and interview based on which merit is formed, address, e-mail id and mobile number for only those candidates who have appeared in the final stage of examination but were not recommended will be made online for other recruitment agencies.